As I finished up the last few hours of the first Mass Effect, I had EA's less-than-compelling Origin service downloading Mass Effect 2. I was excited to import my Shepherd and my decisions into the next game. The concept of carrying over my progress into another game is certainly novel enough to warrant some attention, but Mass Effect 2 is so vastly improved from the first game that I couldn't help but to be smitten by the game. Mass Effect 2 seems to be the most beloved game in the series, and I think that these improvements are the source of that love. I doubt that anyone would have expected the epic and sprawling story from the first game to take a turn for the personal in its second act. At the beginning of the game, Shepherd dies and is resurrected (is that a familiar trope?). And while the Collectors do pose a major threat to the galaxy, the focus is on the inner story of Shepherd building a new team of individuals. Most of these characters are unique and interesting, which makes interacting with them really enjoyable. 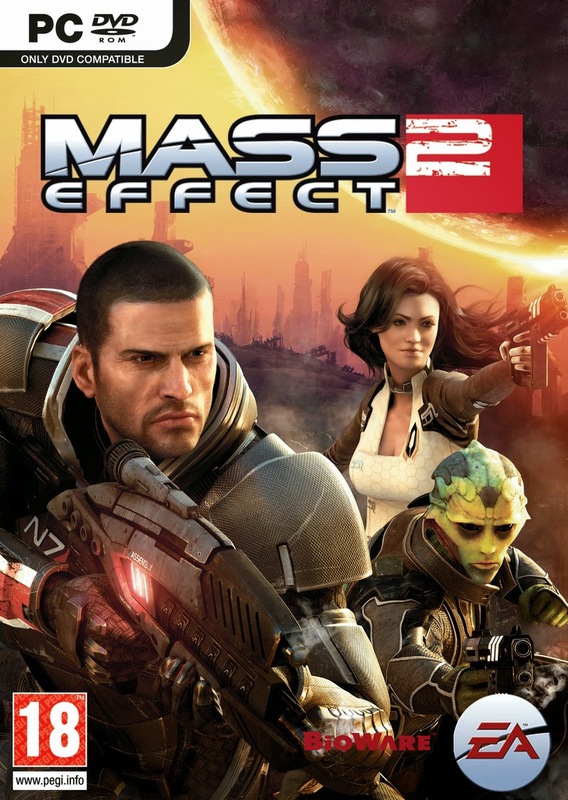 It's certainly more captivating than the first Mass Effect, which was a pretty great game. It's a deeply personal game, and this personality adds weight to the grander, more far-reaching elements of the narrative. Of course, I don't want humanity to die, but more than that, I don't want my crew to die. Shepherd and the crew have been through some dangerous scenarios, and those experiences have bound us... I mean "them"... together as a team. 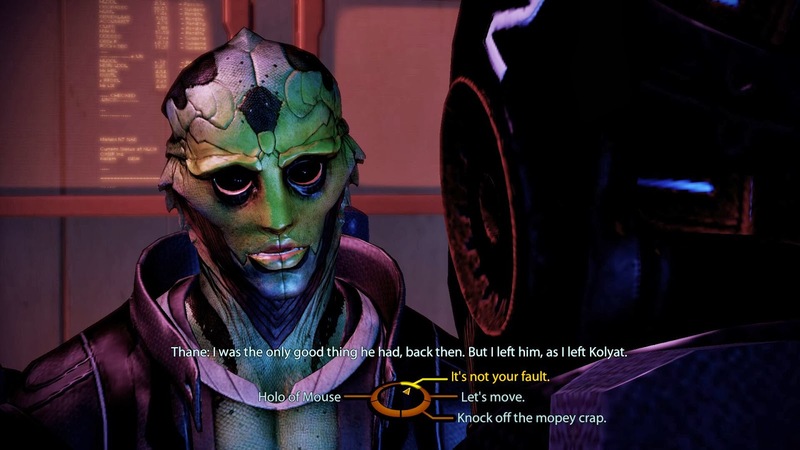 Mass Effect 2 could easily stand just on the strength of its narrative, but the streamlining of the gameplay itself is just as important as any other element of this game. I would have thought that toning down the RPG elements in Mass Effect 2 would make it less enjoyable for me—a massive RPG fan. Let me assure you that is not the case. The gameplay is tightly executed and feels nice to play. This change is significant, transforming the game from a RPG with a decent shooting mechanic into a top-notch 3rd person shooter with some customizable skills. 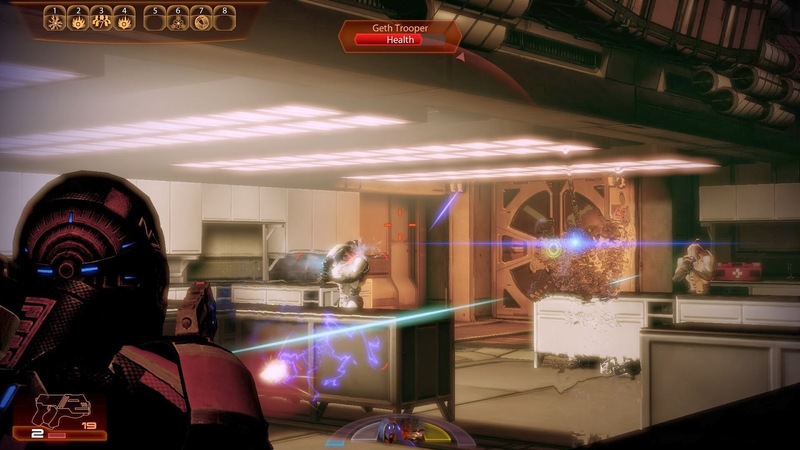 Because both of its halves are so well crafted and executed, Mass Effect 2 feels extremely well-paced. It was always up to me to decide what to do next. If I was in the mood to interact, there were always plenty of people to talk to to, fleshing out parts of the inner and outer stories within the game. But if I felt like shooting, there was plenty of that to be done as well. Mass Effect 2 is greater than the sum of its parts, but its parts are awfully impressive to begin with. So, it makes sense that this game is probably the favorite amongst people who like things. Mass Effect 2 is a classic.